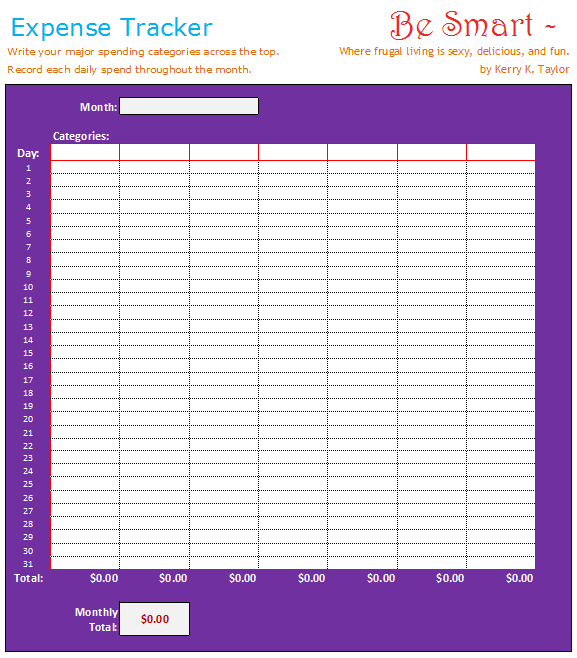 Basic Expense Tracker – Keeping track of expenses is an important task that everyone should follow. It is not something that should be left to businesses or operations where daily or monthly expenses have to be monitored. Many individuals track their purchases through their bank account, using electronic payments and bank cards to make all purchases. However, this approach has limitations. It is harder to sort and group certain expenses and is not always printer-friendly. The Basic Expense Tracker is set to work on a monthly basis and allow the users to identify the categories they want to track such as auto expenses, food purchases, rent or mortgage payments, utilities, etc. At the end of the month, the person doing the tracking will know how much he spent in each category and will have a monthly total of his expenses. The total can be compared to the monthly net income and show the user if he is spending wisely or above his means.